Based on manga series "Ao Haru Ride" by Io Sakisaka (first published 2011 in the shojo manga magazine Bessatsu Margaret). Filming begins April 1, 2014 at Toyama and Nagasaki, Japan. Do Ri Tos May 03 2018 1:05 pm This movie is so boring. Hana Feb 06 2018 1:39 am I haven't read the manga but I watched the anime. There were a lot more differences than similarities to the anime. I honestly don't know how I feel about this live adaptation. Sure, both Honda Tsubasa and Masahiro Higashide (despite looking a little old and doesn't pass much as a high school student) are good actors, dakedo, the chemistry between them is weak. Character development is weak, too. Same with goes the conflict of the story. First 30 minutes was okay but then, it vanished into thin air. I did not see what I wanted to see - how Honda would save Masahiro from his demons. Based on the anime, I understand that it was the gist of the story. Also, the friendship that was supposed to be built among them, I did not see it anywhere. It dragged especially from the point where Yui Narumi came into the picture. Her character is actually very unimportant and I think it wouldn't have hurt the movie if they cut it. An honest 6.5/10 for me. P.S. Maybe they could make a short side story for Tanaka-sensei and Shuuko Murao? Lol, I liked them in the anime. Jaye Nov 08 2017 6:26 am One of the best movies.. love it.. had seen the anime but haven't read the manga..wanted to know the whole story.. finally. Yess..!!! fieyka d Apr 14 2017 2:36 am woohoo!! !i found honey senpai!! juanlito Dec 03 2016 3:20 am out of all the shoujo live actions i've seen, this was one of the best. the cinematography was beautiful, the lighting, scenery, angles--all gorgeous! 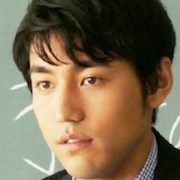 masahiro is a great actor. i see some people comment that he looks too old? maybe for the role of a high school student, but he's still hot lol i'm not mad. tsubasa is a little awkward, but not too much that i wouldn't watch again. plus she's pretty and her skin is flawless. i actually love the casting. the movie isn't exactly like the manga, they made it faster-paced to fit it into 2 hours, but i actually liked that about it. suparna Mar 04 2016 2:28 am my fav live action adaption movie ever. this movie gave me same feeling as the anime or manga gave me. i really like the casting. and Higashide as Kou is perfect, love him so much. esprexo Feb 07 2016 3:06 pm dude, it was very good. Of course the live action will be different and rushed because it's a movie so it's normal that not everything will have more emotion into the scenes, but if you actually read and watched the anime you would understand that it's impossible to put every scene and discover every character in the live action, I mean of course the manga had more details about the characters but that's normal right? I am an Asian drama/movie fan for years now and I've watched so many things , anime, Taiwanese dramas, Korean dramas, Japanese dramas , lakorns, Chinese dramas and I've also seen allot of live actions like it started with a kiss, strobe edge, orange, say I love you, high school debut , l-dk etc etc but I must admit that I like this one so so so so much! I don't know if you guys know about the feeling when your heart hurts so much while your watching something ? Well mine did even tho I watched it twice, the most important scenes in the anime as well in the manga were in the movie so I was happy about that I especially loved the ending! The last scene when he told her he still remembered the day that they were playing robber and she ran to him to release him but fell ^_^ that was so so cute! Also the flashbacks are well made! So people who are asking "is it worth watching" ? For me it was ^~^ it was amazing I also bought the DVD ! bluefin Jan 17 2016 7:48 am Still dont know why the title is blue spring ride? Okay, my thought about the movie is I don't really feel the uniqueness in each character, like yoshioka that is supposed to be tomboy or what so great about kou that makes him worth as a friend or boyfriend.. He looks like ignorant snob that throws away his friends for a girl (man, im gonna get lots of hate for this one).. If you've seen "we were there" you can get the feel of teen love, the one with many angles (not only triangle) and complicated relationships, the push and pull emotions among the main casts, it reminds me of that.. However, I don't feel much context in the plot, and i feel that the supporting casts left out without much use in the story. If you're looking for a teen romance movie, this one is okay i guess, but i don't think it's as "rich" as movies like kimi no todoke, we were there, i gave my love first to you, honey n clover in term of the plot.. Peace..
AHR Jan 09 2016 10:54 pm Does this spoil the manga? I'm waiting and hoping for season 2 of the anime but I don't want to spoil it in case they do decide to release it. I'm halfway through the movie now and I had to stop it because I don't recall this scene ever happening in the show. Aoi Yamazaki Oct 29 2015 2:20 am does anyone know who played the younger Kou Mabuchi in Blue Spring Ride? Sheena Aug 17 2015 2:06 am Even though it's still not available in our country... I really feel that its gonna be the best live action movie that soon to be watch by many anime lovers like me.... So that's why I will wait, till the movie is available in our country.... I can't wait to see it.... Gambate! FeKimi Jun 28 2015 4:21 am Ao Haru Ride probably one of decent shoujo manga adaptation ever made (another is Kimi ni Todoke and The Liar and His Lover). 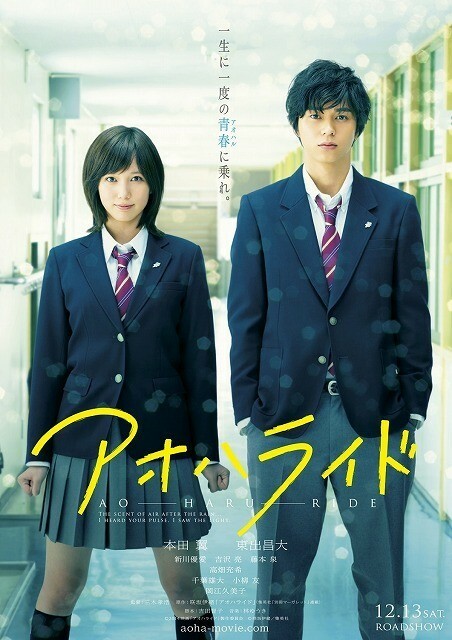 Usually shoujo manga live action is not too good because they really want to squeeze all of the plots and sub-plots in the manga into 2 hours movie, but Ao Haru Ride is very flowing and heartwarming. It also has beautiful cinematography and the casts chemistry is really sparkling. Huy Nguyen Jun 26 2015 3:09 pm One of the best live action I've ever seen . Faye Jun 19 2015 9:22 am I finally watched it. The thing at the beginning half seems rushing. If I never watch the anime, I wouldn't be able to capture well of the storyline and relationships. But after Kou meets Narumi, things begins to cooled down a bit. Cried after half the overall time. Masahiro Higashide has proven us another great acting. After Parasyte (when he acts robotic and eerie, but very good) and A Restaurant with Many Problems, he can keep it up for normal high school student's role. He can smile nervously or crying from his facial expression, even without tears. But the other girl friends of Futaba didn't seem to be of some help... Maybe because it was being rushed at the beginning of their friendships. Lala Jun 18 2015 5:39 pm I already watched it and Masahiro Higashide potray the Kou character is so good !!!! hotarumaruchiii Jun 12 2015 12:22 pm I finally watched this after months of waiting T^T as a fan of the manga & anime, I would say that this live action movie is a decent adaptation. The cinematography is also great, I really like how the director captured those moments from Ao Haru Ride. I noticed too that the director has a distinct feature on how he captures the scene based from his previous works. Some major parts of the story has been forwarded without intervals, I think the reason why they did that is because they want to fit those scenes in to 2hrs duration.Though there might be changes in the film, I think it doesn't give that lackness & it's not considered to be a bad part abt the adaptation. Regarding to the actors and actresses who played the characters, they did great in their part most especially Masahiro Higashide as Kou Mabuchi. 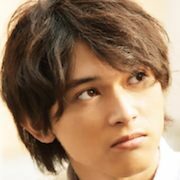 I really appreciate him in the film, to anyone who have doubts abt him playing Kou due to his age, I think once you will see this film, it will change your perspective. Masahiro is Kou, the way he talks, the way he acts, the way he stands, you'll see Kou all over him :)) There's actually a documentary of him & it showed how he took seriously this role; there's a scene where Futaba knew abt his mother & hugs him, Masahiro still cried even after the camera stop rolling & stayed away from the crew & staff because thats how that scene made an impact to him. When I knew abt that I thought that I am glad that Masahiro is Kou bcos he knows how to act & takes Kou seriously as a character. As for Futaba who portrayed by Tsubasa Honda, when they first announced the movie adaptation of Ao Haru Ride, she is the first one that I thought :)) people are worried because Tsubasa seems awkward when she acts or she lacks on showing her emotions but I think she improves in this film, I think she has more emotions on the way she threw her dialogues. For me, she did a decent job portraying Futaba :) The other characters like Touma,Murao,Kominato,Yuri,Narumi & Kou's bro, I think they also did their parts well too; I really like Kominato in this film, I enjoyed his scenes ^^ I'm glad that Chiba is Touma because he's been a fan favorite ever since, though I wish we could see more of his character in the film though.I guess this film focuses more on romance but ofc the story abt youth & friendship are all present in the film but the romance definitely highlighted the most. alicia Jun 09 2015 12:38 am DVD release will be on june 17, 2015.
ariann Mar 31 2015 8:28 pm the song is kirari -ikimono gakari. Wa1 Mar 08 2015 8:03 pm The manga for me was pretty good but I started to hate it because of Kou. putri alya Feb 14 2015 6:09 am Woooaahh, I'm dying for watching the trailer and teaser, but well I guess, we must wait for 6 months if we want to watch this movie, aahh so long time, but I will face it, yosshh!!! Ganbaruuu!!! Sheren Jan 18 2015 4:45 am When will this releaseee????? >3< I really cannot wait!! Especially because there is Mizuki hehe And this is one of my favourite anime! Eunike Lovely Jan 08 2015 10:51 pm When the dvd / bluray release?? can't wait for it! Eden Jan 01 2015 11:45 am I was hoping they'd cast Goro Kurihara as Kou Mabuchi. I already watched the trailer and I sooo~~ love it!! Keep it up~! berceuse Dec 16 2014 10:35 pm I'm super duper excited for this movie!!!! Since there are a lot comments posted, this movie is highly worth to be anticipated for. Anime rocks! Fuyuki Dec 13 2014 1:07 am Gosh. So excited for this movie, just wonder when I can start watching in Singapore or online. Marlia Park Dec 08 2014 9:13 am I am very excited to see this movie. I really hope that it will come out in the Philippines and will be as good as the manga. I've already planned to watch it with my younger cousin since she's a great fan of Kou. Oh, and I also think that the actor doesn't suit Kou... Well, it's alright. Khumuu Nov 19 2014 7:38 am I am so excited for this movie to come out! I loved the anime and the manga too ^_^ i just wish actor playing Kou was a little lean, but he is not too bad a choice. jiyu Oct 26 2014 9:10 am Is it really "love triangle" story?? In the manga version? I've watched the anime version, but there's no "love triangle" story line in it. It's only about futaba and kou. Kassymin Oct 16 2014 4:18 pm I love this anime, but I think they could have found a better actor to play Kou. hyesuk Oct 08 2014 11:56 pm ohemgee!!! I'm a big fan of Ao Haru Ride manga and anime. I want to watch this soon! kajika mei Oct 01 2014 1:35 pm omg!!! when will it be released? i can't wait any longer , I really loved the anime but it was too short :/ i couldn't believe it was over . Medalie Sep 29 2014 4:08 am OMFG ! i can't wait anymore !!! Anita Sep 22 2014 6:05 pm I definitely agree to hannasj on age wise....when I saw who was playing Kou in the trailer....I wish they would reconsider but I'm still extremely excited for this!!! Xylocaine Sep 12 2014 2:56 pm Wow, looking forward to this... We've been blessed with lots of good Live action J-Dorama this year :) Banzai ! hyesuk Sep 08 2014 8:16 am i'm super duper excited of this live action! though i did'nt read yet the manga,but I'm a big fan of the anime. kyaaaahhh!!!!!! hannasj Sep 03 2014 3:29 am Won't lie, the cast really didn't live up to my expectation...they should've cast someone age-wise in sense that they should look for younger actors and actress or at least someone who look young. I really do like Tsubasa Honda no offense, I mean she's one of my favorite J-actress of her age but she didn't really suit-up for Futaba role. And don't even make me start ranting about the actor who played Kou. I mean seriously??? They could've cast better! Yes he have the aura of cold and lazy Kou but appearance wise, it's a total bummer. Well I try not to judge too much as I haven't seen the film yet but my first impression, not so good right now. I hope I'm wrong and I'm seriously trying to keep a positive mind here. Anyway why the heck did they show Kikuchi-Futaba kiss in there?? Totally ruin my mood there. Kou-Futaba for the winner! Shoujo Aug 31 2014 11:25 am Oryo-kun~ I can't wait to see him in cheerful mode! And for those people saying they should pick korean actors, this is a japanese live action film, not a korean live action film. Let's give these cats chance. Watch first before you judge. Aya Aug 23 2014 11:50 am I think the choice for kou's actor is quite well chosen. I mean look how lazy looking he is. As for Touma, My goodness a real life Touma indeed! great choice of actor for him. chi Aug 13 2014 5:09 am ok I'm a fan of Kou in the anime and manga but sorry i gotta say in the movie its touma!!! he's a real life touma!!! !~ <333 I am sooooo excited to see this movie!! kyaaa~!! kane Jul 31 2014 2:10 am I dont care what the story is, i only watch this because of 2 japanese cuties Tsubasa Honda and Yua Shinkawa. Janica Jul 26 2014 4:52 am Yudai Chiba is one cute dude. I prefer Kou in the manga ver. but for this, i gotta say their Touma beats Kou.. :) So excited for this, btw. Kinoko Jul 24 2014 9:51 pm i like this casting! i'm anxious to see the movie! Difa Jun 30 2014 1:07 am awww i approve! Lucky Jun 24 2014 10:24 am i think that the main lead doesn't suit the characters in the manga. -_- i'm really disappointed. :( i dont know if live action would be as good as the manga itself :( psssh! 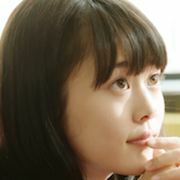 mili Jun 03 2014 12:21 am Ahhhhh Higashide, can't wait to see, btw, I think japanesse actor is the best, they are natural and less did plastic surgery. Don't judge from the appearance. Lalala May 31 2014 1:08 am arent Masahiro quite old to potray school characters? Nami May 27 2014 10:40 pm OMG OMG OMG soooo excited!!!! >.< I love this shoujo manga and now it's have its own anime and live action!!!! Kikuchi's actor looks really hot!!! IDK if anyone's complaining not dying his hair. I'm just soo excited! One of my fave shoujo manga! asdfghjkl May 20 2014 4:57 am ergh , why must korean actors ? this is from japan and it obvious japan cast will lead it. Megane May 16 2014 5:04 am i dont care about live action kikuchi didnt dye his hair blonde, but dont you think chiba yudai is too cute for kikuchi's role ? Suzumoko May 12 2014 7:25 pm you stupid mother fudgers, complaining about how kikuchi's actor didnt dye his hair?! are you kidding me?!?!? just appreciate the actors!! They all look amazing!! So stop it!!! Ryou May 01 2014 8:28 am I don't like how the live action Kikuchi did not dye his hair blonde. He's cute but it would've been better if he did, imho. Oh well, I really can't do anything about it. The cast is ok(but not great) for me(basing from their appearance only tho). But I hope their acting makes up for it. I'll still watch this movie though. But I really hope they don't ruin anything or I'll regret watching this. Oh andd also, does anyone know the name of the middle school Kou? He's really cute but I can't seem to foind his name anywhere. Btw, you can find up-to-date pictures of the cast on aoharaido tumblr. Nyanananaa Apr 27 2014 5:43 am wtf!? kou looks old --" It'll be better if they use korean actors..
Nyananana Apr 27 2014 5:40 am wtf? why don't they just use korean actors? -_- It's weird when they use japan actors..
Kameyama Apr 23 2014 9:42 am I hope they put Yuta Tamamori as Kou. I'm fine with Honda as Futaba tho. the rest of the cast are okay! but lets see later, we cant really judge before watching. CAN"T WAIT!!! 011414 Apr 19 2014 7:13 am I'm fine with the rest of the cast except for Kou and Futaba. I think that it would be better if they used someone more good-looking. No offense to Masahiro Higashide but I think that the role doesn't fit him and as for Tsubasa Honda I think that the role of Futaba also doesn't fit her. No offense to Tsubasa Honda. But, I really think that Futaba's role doesn't fit her. They should find someone who looks more lively for Futaba's role while for Kou someone who looks appealing, can't be red and doesn't care at all. Pixie Apr 11 2014 7:34 am the casting is so bad that i feel like im going to burst a blood vessel. Aoharaido definitely deserves better. What's with Kou being 1988?! Just stop with anime and manga... liveaction almost always ruin the story. Pixie Apr 11 2014 7:28 am The casting is so eeew, we can do without the liveaction really, just the manga/anime is enough. cuchu Apr 02 2014 3:11 am kou could have looked better?